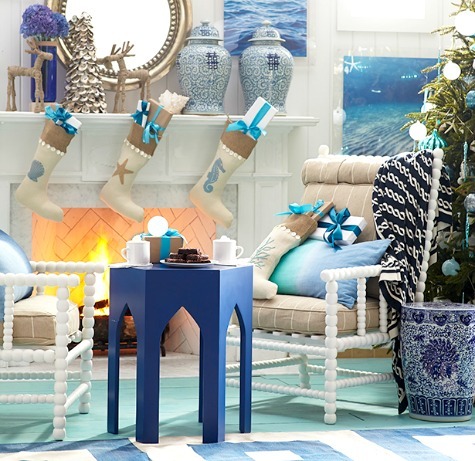 Take your inspiration from Wisteria's Coastal Christmas wonderland. 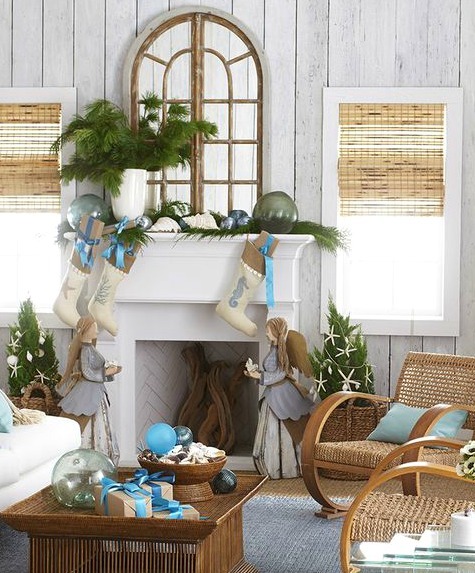 Coastal theme Christmas along with traditional Christmas decorations. 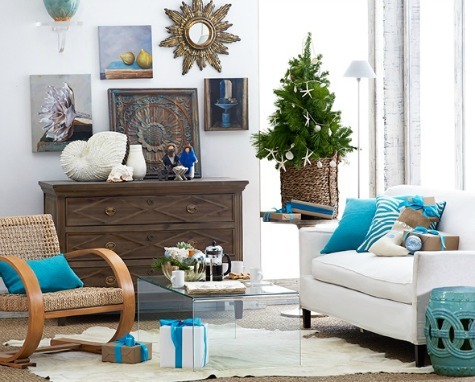 Lots of blues and greenery. 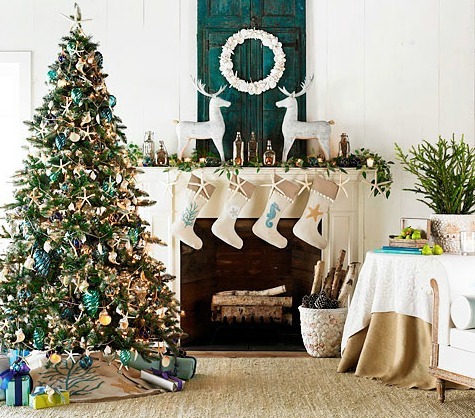 Festive and cozy Christmas ambiance. 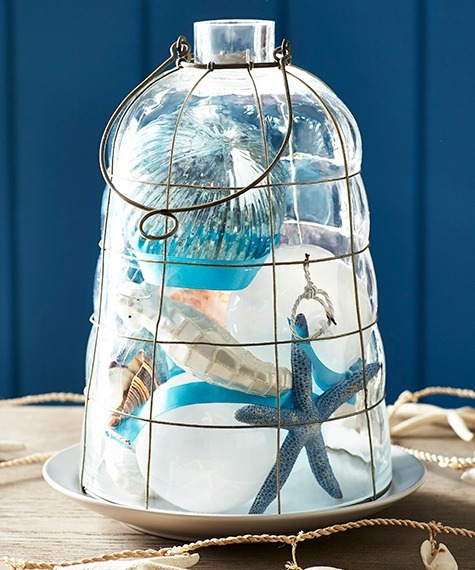 A Coastal Christmas Cloche filled with a variety of favored ornaments. 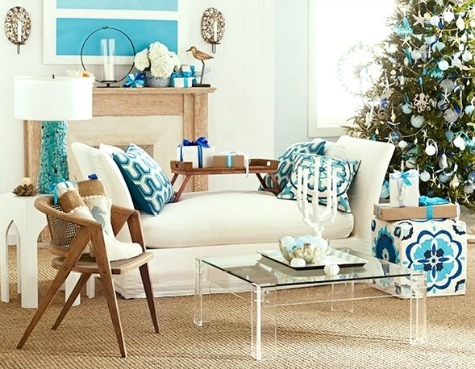 An ocean blue inspired Christmas living room idea. 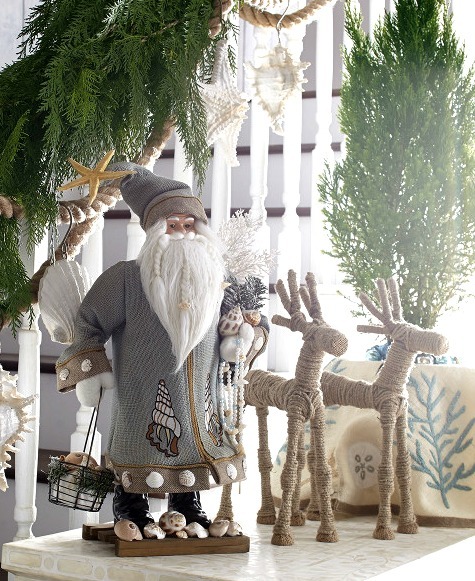 Beach Santa and rope reindeers. 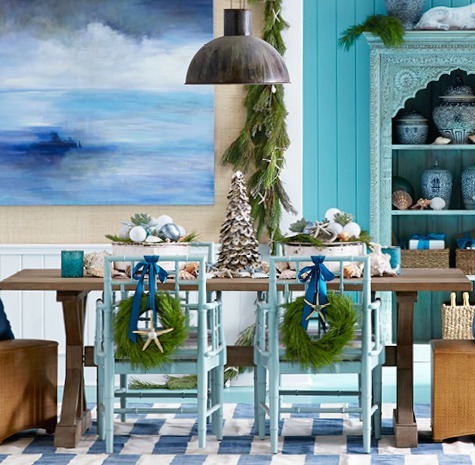 Coastal Christmas dining room with lots of Natural Greenery. 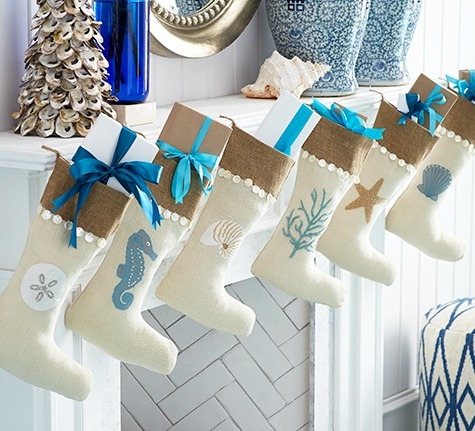 Coastal stockings hanging from nails. 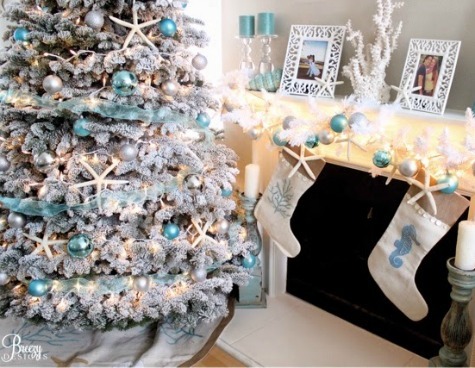 Coastal Christmas in a small space with a Mini Christmas Tree. 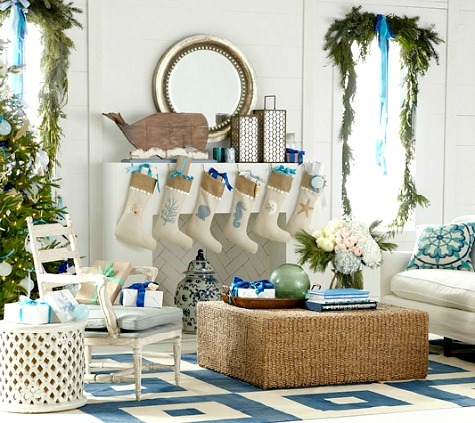 Wisteria's coastal tree skirt and stockings at the home of Breezy Designs. 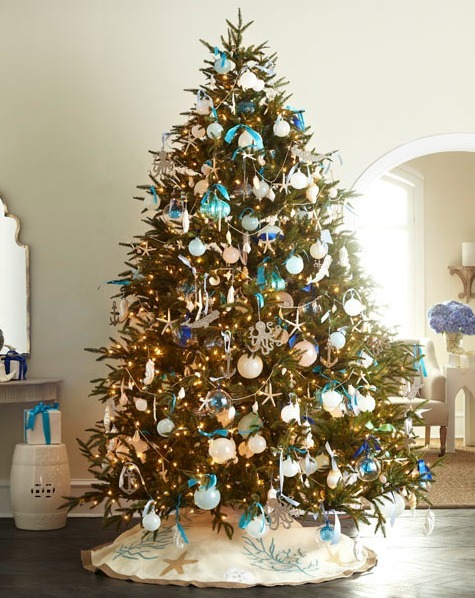 Decked out Coastal Christmas Tree.